WE ARE ALL LINKED BY NATURE. Europhartech is a corporation owned by DÔMES PHARMA, an independent family-owned holding company present since 1947 in the #Pharmaceutical Industry and represents some 360 employees spread over 5 locations in France and United Kingdom. The group, whose business ranges from R&D to commercialization, makes € 80 million of consolidated revenues. In addition to Europhartech, it consists of four subsidiaries and owns leading brands well known to the general public: TVM, Biocanina®, Aspivenin®, Wanimo.com. Strong regional attachment & International expansion strategy. 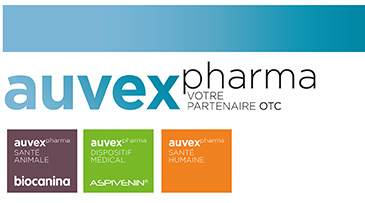 Auvex Laboratories: development, promotion and marketing of veterinary (biocanina®), human pharmaceuticals (Laboratoire Léro) and medical devices (Aspivenin®).